Burloak Tool & Die LTD. Established in 1980, BTD has over 35 years of experience in the automotive and appliance industry specializing in the design and build of progression dies, line dies, draw dies with heavy concentration in automated and progressive tooling for heat transfer components industry. 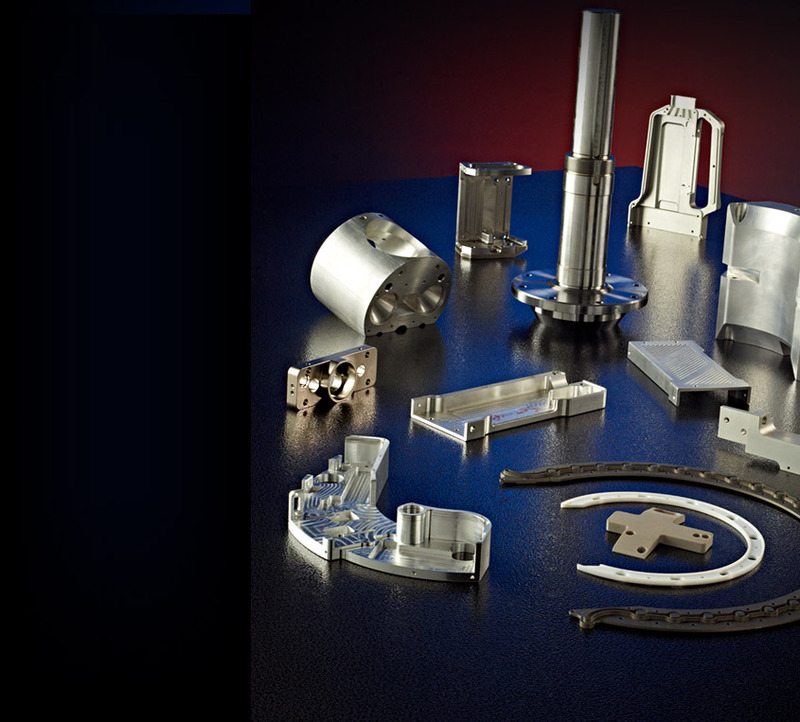 BTD is known for superiority when producing complicated prototype parts for a large variety of industries. All tooling is designed in-house using (3-D) VISI software. We take pride in the fact that all the necessary tooling components including custom die shoes are machined in-house using our state-of-the-art CNC equipment. BTD designers have experience with machine design, automotive progressive dies, die transfer, and part development/prototypes. BTD is the “go to” organization for quality parts, quick turn around and on-time delivery. BTD has the ability to produce parts of any quantity while strictly adhering to drawing specifications and tolerances. 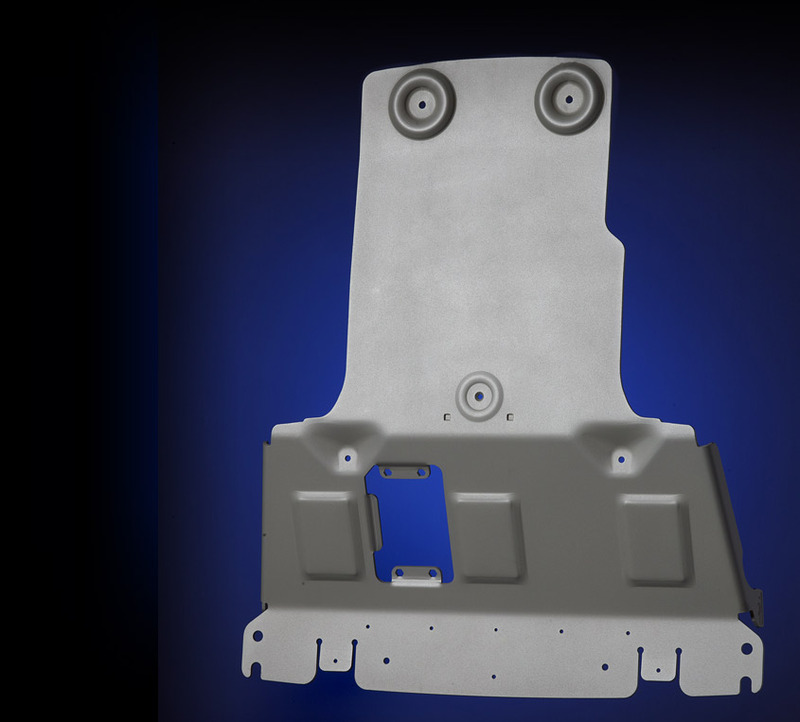 Known for high quality prototype parts, it is a challenge to decipher if those parts were produced off hard tooling. BTD provides a full in-house stamping facility. Presses and feed lines range from 40 Ton to 800 Ton. BTD’s in-house stamping department not only provides our customer with quality parts, it also provides added value, with spot welding, surface coatings, a robotic weld cell and a full assembly line. 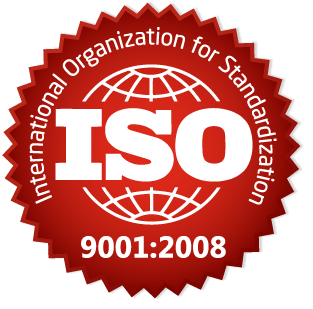 We are currently ISO9001-2008 accredited with our quality system continually audited by customers and other governing agencies. We strive to encourage a culture in our organization that teaches, “There are no shortcuts to Quality.” Our philosophy, in all aspects of our business, is to meet world-class standards. Our policy is to upgrade the skills of our employees, bringing our employees to their highest level of achievement. Our objective is quality and service to our customers. 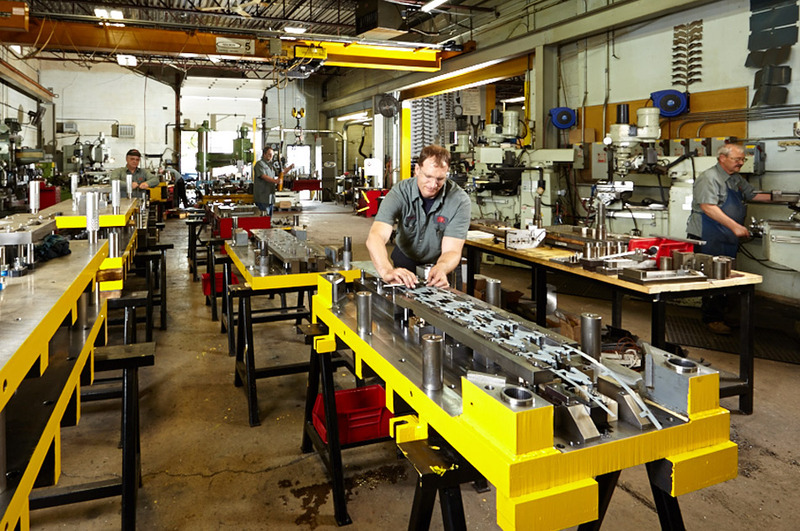 Burloak Tool & Die strives to exceed customer quality and cost expectations through improved controls by implementing continuous improvement programs and working towards internal goals and objectives. 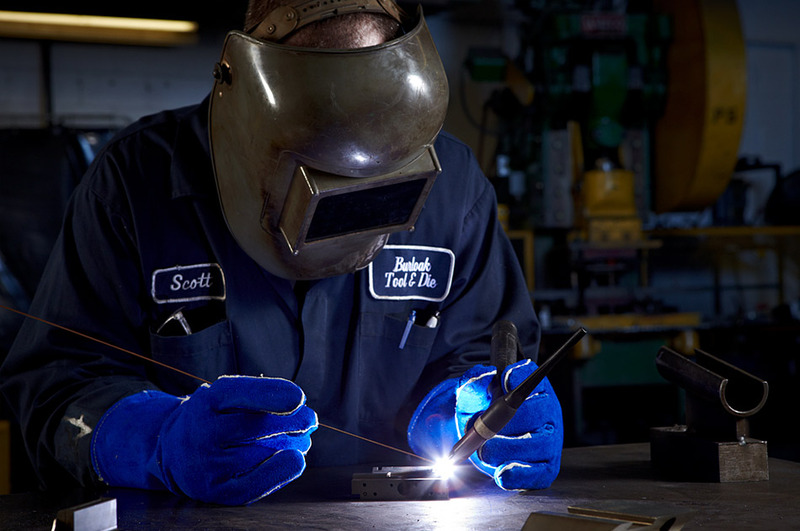 Dedication of our skilled workforce allows us to be successful in meeting quality requirements and on-time delivery. 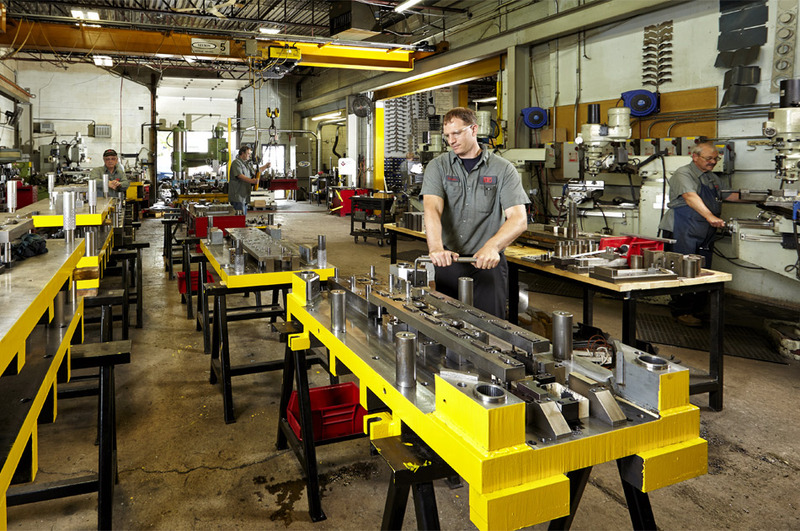 Burloak Tool & Die is committed to providing excellence in customer service, on-time delivery and quality products while striving to exceed customer expectations. Burloak Tool & Die has adopted a new Quality Policy to capture the goals and objectives of the company during our growth. 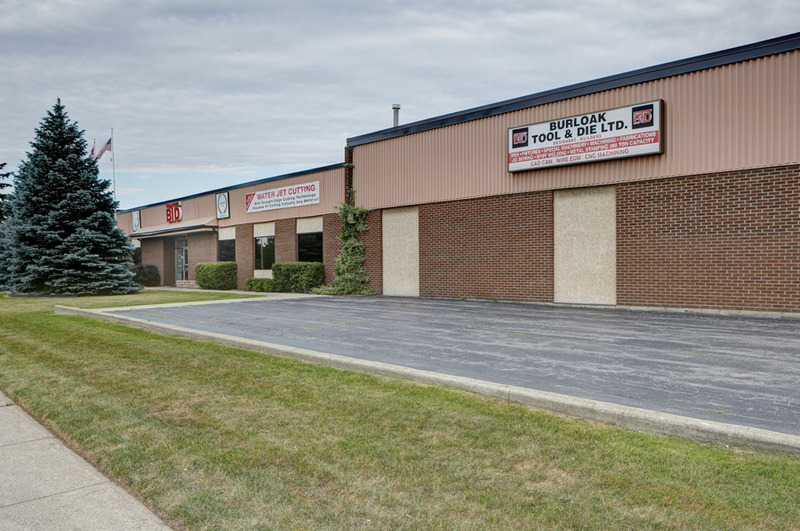 At Burloak Tool & Die Ltd . we offer one stop shopping for the metal working industry. All die build specifications, including CNC, water jet and wire EDM programs, are stored on our server with an off-site backup for security. 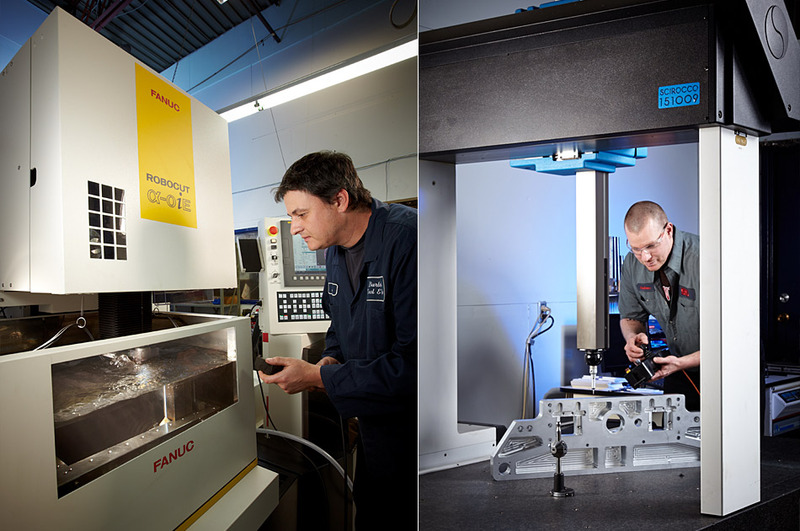 BTD continues to invest in state-of-the-art CNC machining and turning centers. Currently, our CNC lathes range from 2.5” bore to 6.5” bore diameter. 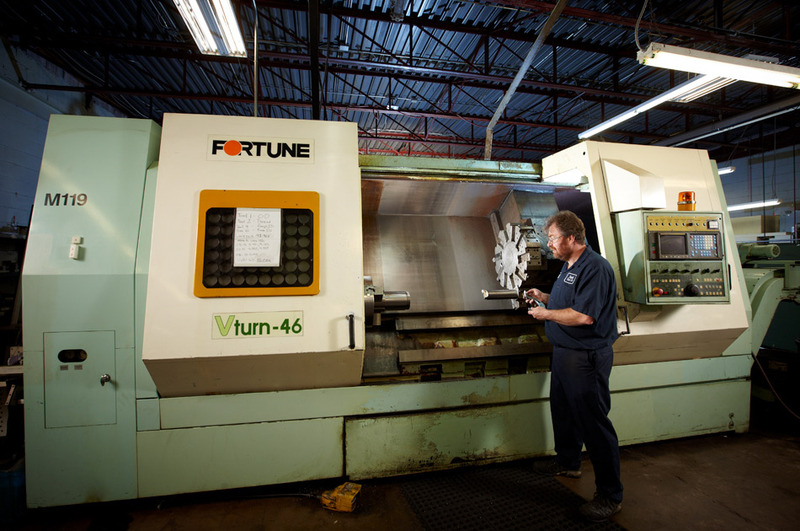 Our world-class CNC department has 3- and 4-axis machining capability; producing parts for die builds and custom machining for clients in fields such as nuclear, aerospace, rail, automation, and the mining industries. A 5-axis CNC machining center is our next phase of enhancing our high-tech equipment, further improving our efficiencies. 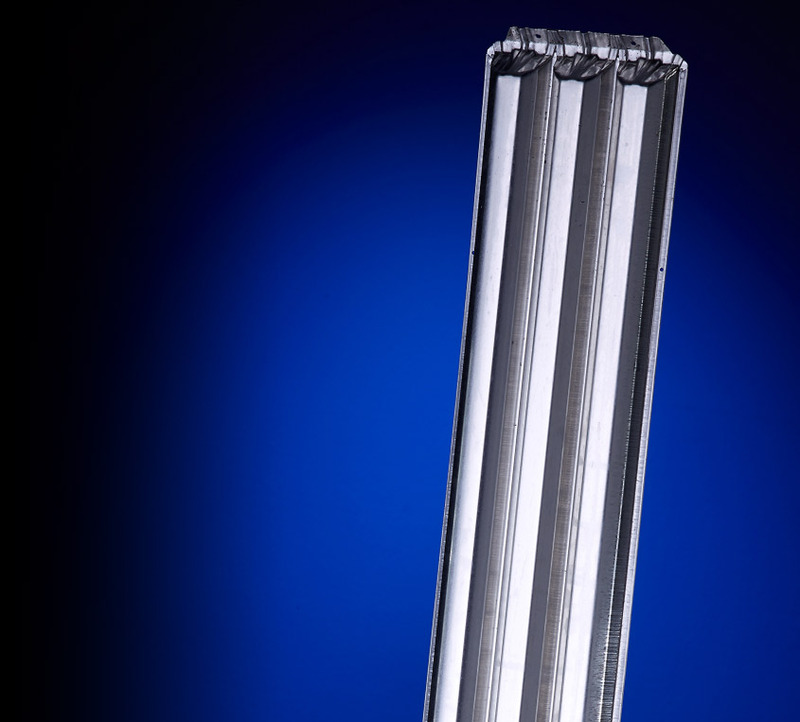 BTD has the ability to produce a wide range of parts from prototype to full-scale production. BTD is an ISO-certified company. The necessary internal documentation is issued from conception of a job, including quality process checks throughout the project, until time of shipping. We value our customers with a firm commitment to produce quality parts, right the first time, on-time. Our in-house die design utilizing VISI modeling provides our toolmakers with unsurpassed levels of productivity through its specialized applications. Our CADKEY and AutoCAD software increases our efficiency across the board. We offer the ability to reverse-engineer virtually any mechanical unit by analyzing its structure, function and application to construct a new device to either replace or improve on the original. Our engineering department offers part digitization and solid part rendering, enabling us to manufacture worn or damaged older components that lack 3-D model data. 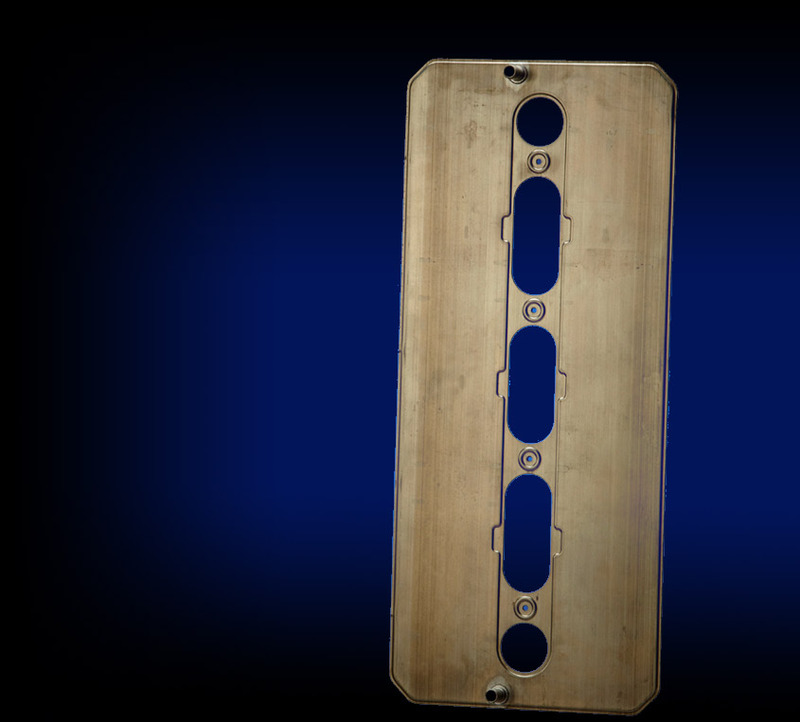 Burloak Tool & Die has the unique ability to provide prototypes to drawing specifications regardless of complexity. 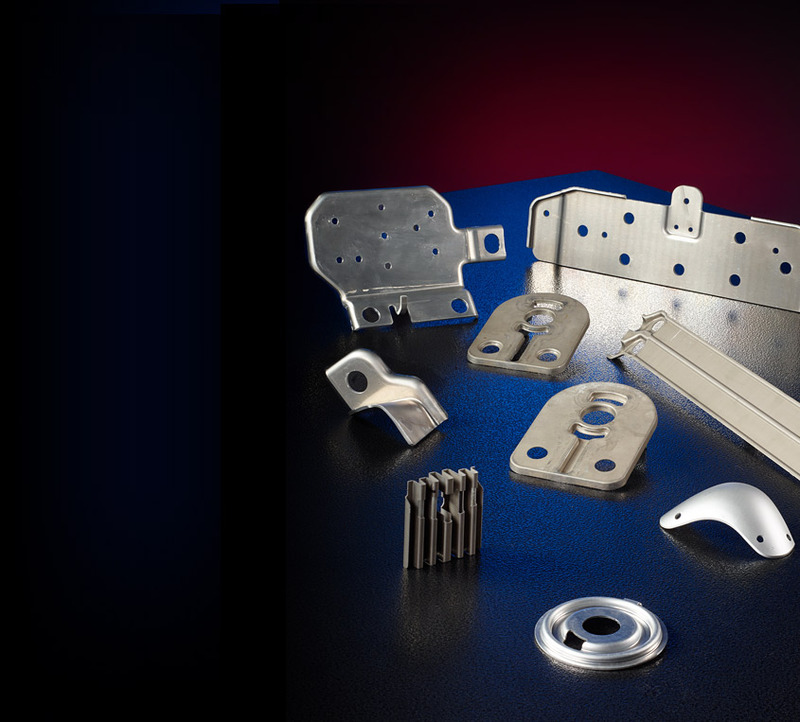 We are the “go to” organization for prototype components with quick turnaround times and quality. 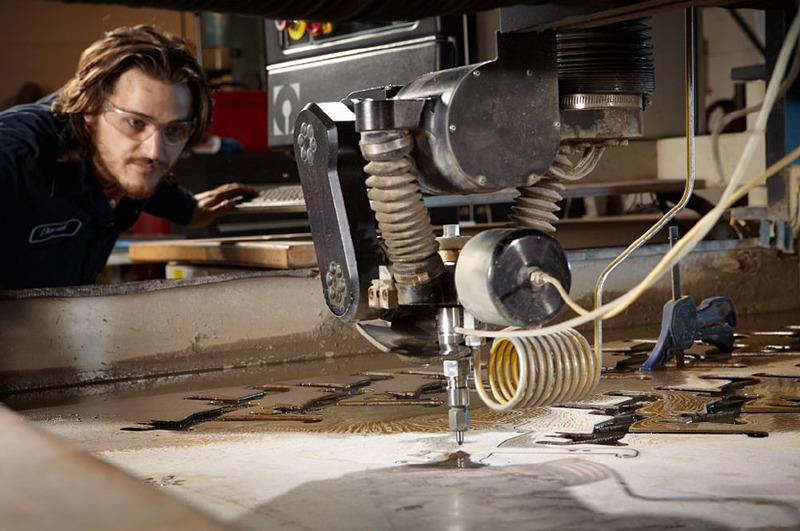 This ability is due to our highly-skilled team and our wide range of machines, such as waterjet, CNC and EDM. Our engineering and Quality departments can reverse-engineer components, complete with updated CAD drawings for all future replacement requirements. BTD offers a full in-house stamping department. 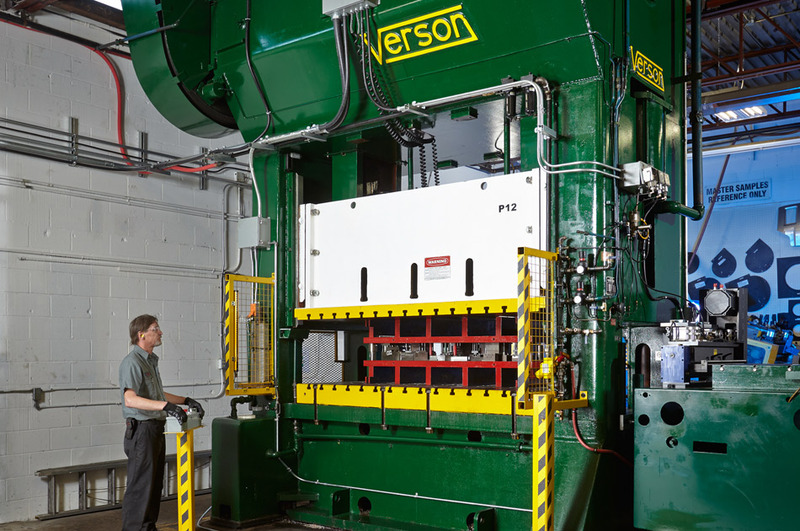 Presses and servo feed lines range from 40 Ton to 800 Ton. We specialize in both low to high volume production runs, capable of handling a broad range of specialty materials. Our production diversity is our strength and caters to the automotive, appliance and construction industries. BTD customer base is diversified and expands over Canada, USA, Mexico, Europe and Asia. 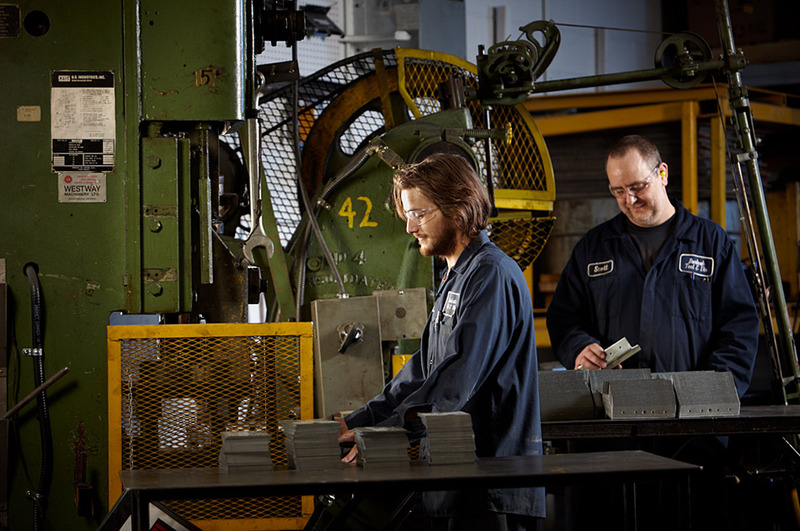 BTD’s in-house stamping department provides our customers with quality on-time parts at a competitive price. 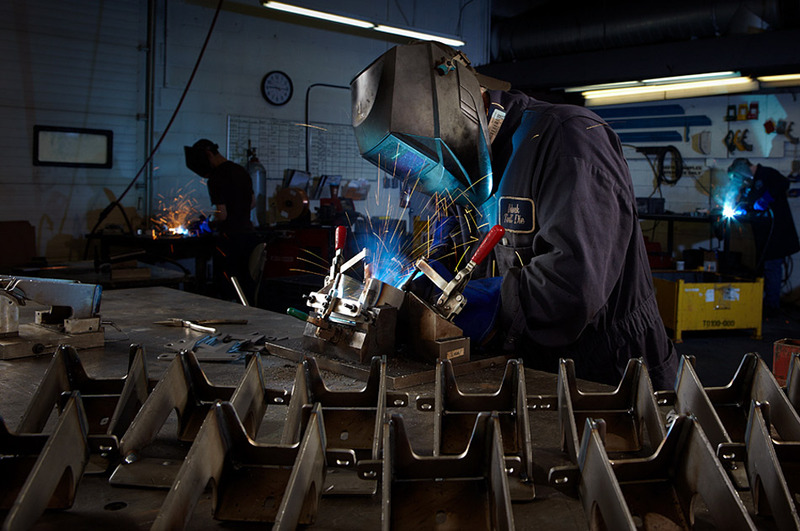 We offer value-added services such as spot welding, robotic weld cells, press insertion of studs and nuts, toggle locking, surface coatings, along with the capability for subassembly of components. Our Quality department with a state-of-the-art laboratory utilizing PC-DMIS, CMM dimensioning, provides full PPAP documentation including certification of inspection fixtures. BTD production is driven by customer demand, forecast planning, and understanding our customer requirements. 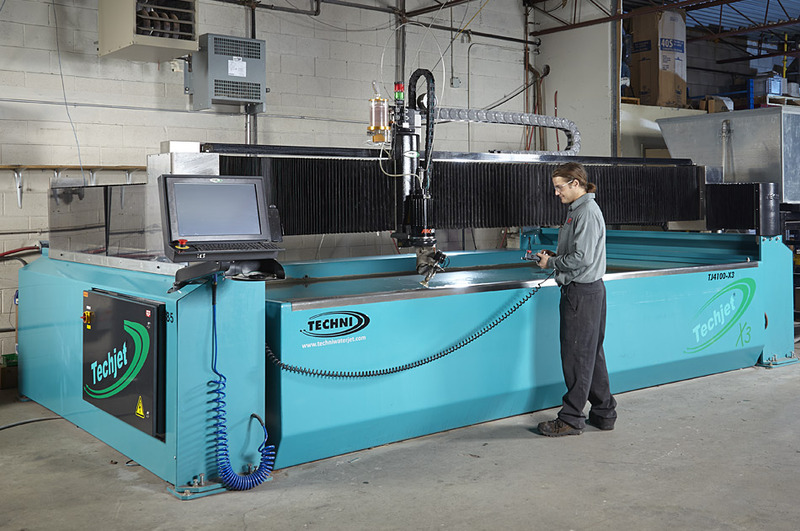 BTD has a state-of-the-art Techni 4-axis waterjet machine and Fanuc wire EDM. 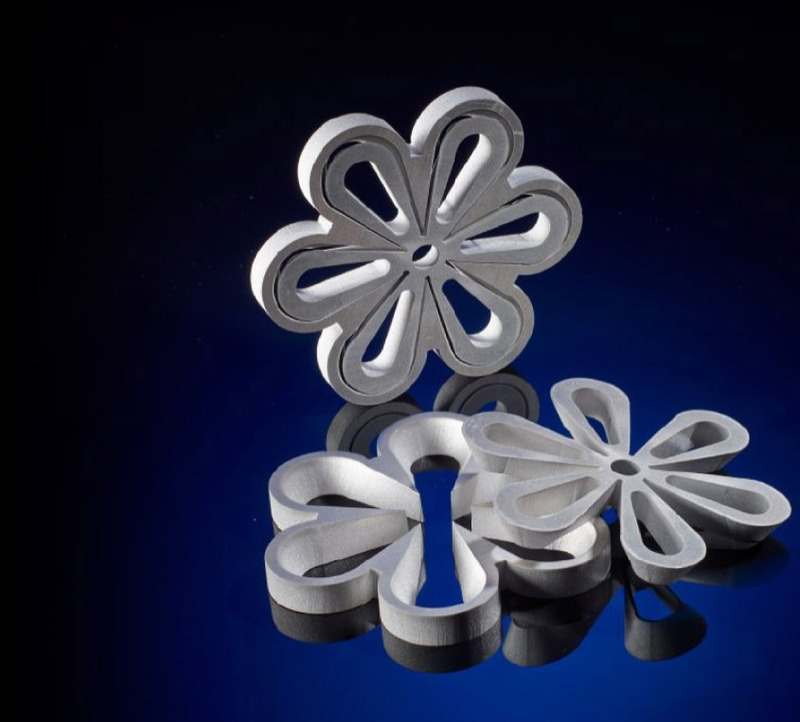 Having in-house waterjet and EDM capabilities allows for quick part development and reduces lead times. These high-tech machines are an integral part of die building and offer one-off component manufacturing if necessary. 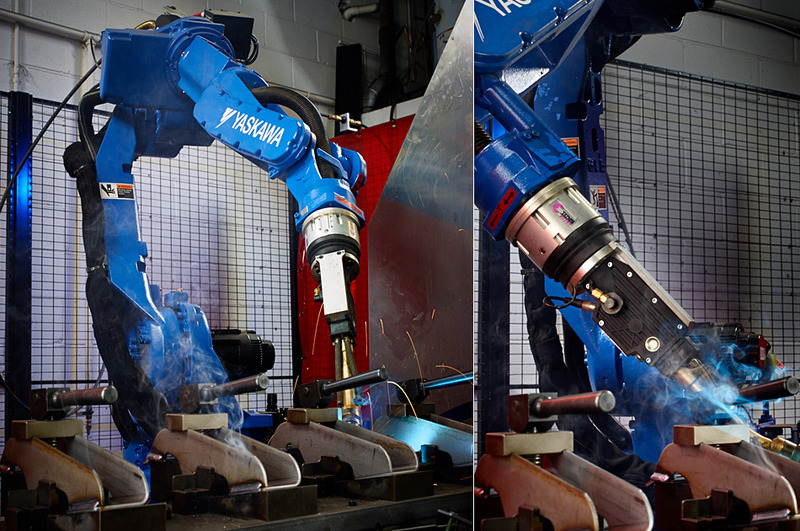 Burloak Tool & Die has certified welders to CSA Standard W47.1 and can fabricate anything from high production robotic welded assemblies to one-off custom framework. Burloak Tool & Die has 40,000 sq. ft. of manufacturing space located close to all major highways. We are always looking for experienced Tool & Die Makers, CNC Operators / Programmers and Press Operators. Accessibility Options | Copyright © 2015 Burloak Tool & Die Ltd. All Rights Reserved.